The Story Of How I Went into the Supermarket To Get Some Milk and Accidentally Came Out with a Book. It was a chilly January evening. Saturday night to be precise. Neither of us felt like cooking so naturally we ordered pizza. We over ordered. We ate a lot of pizza and solved the age-old question of whether one can ever have too much pizza. The answer is yes, yes you can. We slipped into a pizza induced slumber only to awake eight hours later needing coffee but having no milk. A dilemma followed. To drink coffee with no milk or to throw on a giant coat over my pyjamas and hope no one notices that I'm wearing pyjamas in the supermarket. The thought of coffee without milk was too much to bear and I figured that because it was a Sunday no one would notice my baggy pyjama bottoms. They're more akin to jogging bottoms anyway. Maybe people would think I'd been for an early morning jog? ...Alas, it is painfully obvious that I do not jog. I made it into the supermarket and to the milk, dodging small children having meltdowns in the sweets aisle & a very tired looking member of staff carrying several crates of cucumbers. I also did not wander into the crisp aisle where I probably would have bought all of the things. Crisps are a bit of a weakness and as I established earlier, I don't jog. On the way to the till I was however distracted by the very large book aisle. I figured between successfully making it around the supermarket on a Sunday and having read 14 books so far this month I'd earned at least a look. But when you spot a copy of The Secret History for a mere three pounds and eighty-five pence, it just has to come home with you. It's the rules. It is now nestled on my to-be-read shelf where it's settling in very well. "Under the influence of their charismatic classics professor, a group of clever, eccentric misfits at an elite New England college discover a way of thinking and living that is a world away from the humdrum existence of their contemporaries. But when they go beyond the boundaries of normal morality their lives are changed profoundly and for ever." Doesn't that just sound so delightfully pretentious? I haven't read anything by Donna Tartt before and although The Goldfinch is the novel I've heard the most about she's an author whose work I definitely want to read in order of publication. This copy is one of those books with incredibly thin pages so it looks a lot shorter than it is; hello over 600 pages! I'm not sure when I'll pick it up, but I'm very happy to have a copy on my shelf waiting for me. 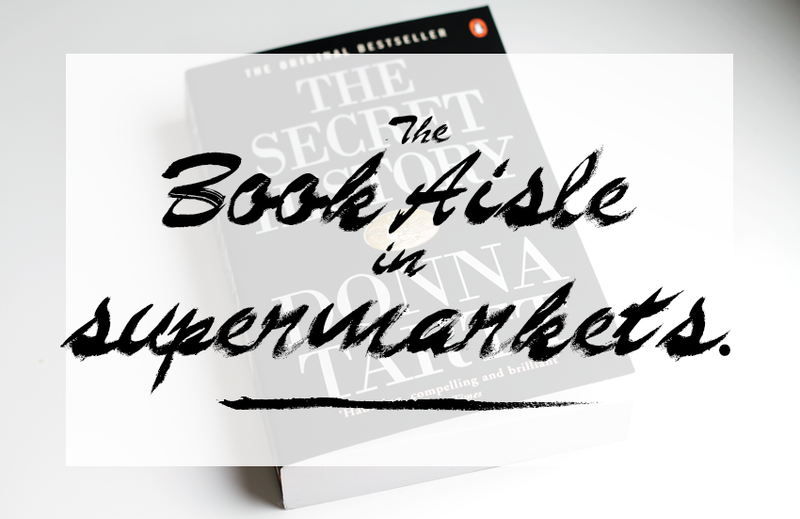 Does the book aisle in the supermarket draw you in too? :) the story made me smile. Such a cute way of telling us how you bought a book. 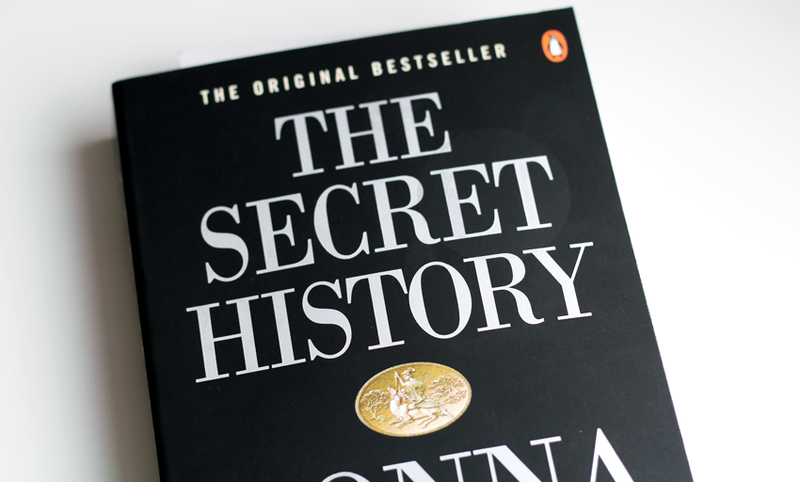 I loved The Goldfinch, so The Secret History has been on my to-be-read list since! Tesco is pretty good for books and they're almost half the price of the ones in the likes of Waterstones! Oh, I do this every single time I go into supermarkets. I've been banned from venturing into them alone now - buying a new book every three days and saving for a deposit just don't work well together! That's a perfect choice too, so why not, right? Lovely copy. It was a nice find. Supermarkets here (Romania) also have book aisles but they are usually much more expensive than in libraries and online.